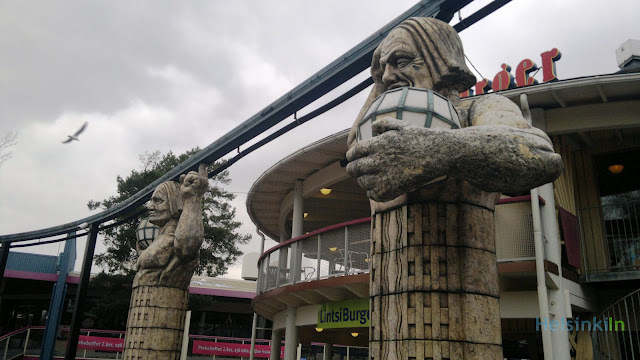 Today Linnanmäki opens its gates again. The amusement park in the city welcomes its small and big guests to lots of rides and shows. Furthermore several restaurants and bistros offer snacks and meals for those who need a break from all the roller coasters and other attractions. With the new Kattila there is even more variety in food at Linnanmäki now. Six Finnish top chefs with a total of four Michelin stars created new dishes from around the world that, according to Linnanmäki’s website, should fit every taste and budget. 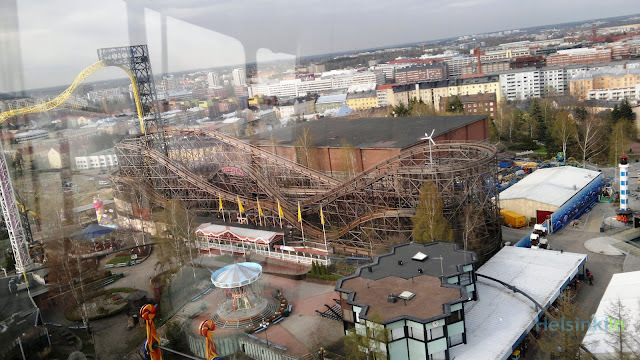 Well, Linnanmäki is not really a place for a small budget. As soon as you want to use any of the rides it quickly gets quite expensive. Think about if you just want to go on one or two rides or if you rather want to spend the whole day on the roller coasters. You can either buy single tickets or get a wristband for the whole day and unlimited use (all rides for 37 €). The nice thing about Lintsi, how the locals call it, is that the entrance is free. So if you want to inhale some amusement park atmosphere, just go there and wander around a bit. Tip: Check out the look-out tower. It is for free and provides you one of the best views over the city. You get to Linnanmäki either by car, with tram 3B or 3T or check here. The park will be open till October 21st. Read about expatriates' experiences in Helsinki. Get inside information on the Finnish capital. Find out what you can do, what you should know and what you can see in the city. The pictures on this blog are protected by copyright, can only be used with prior consens of HelsinkiIn and have to be linked back to this blog. It is forbidden to use the pictures for commercial purposes. © 2017 by HelsinkiIn. Simple theme. Powered by Blogger.